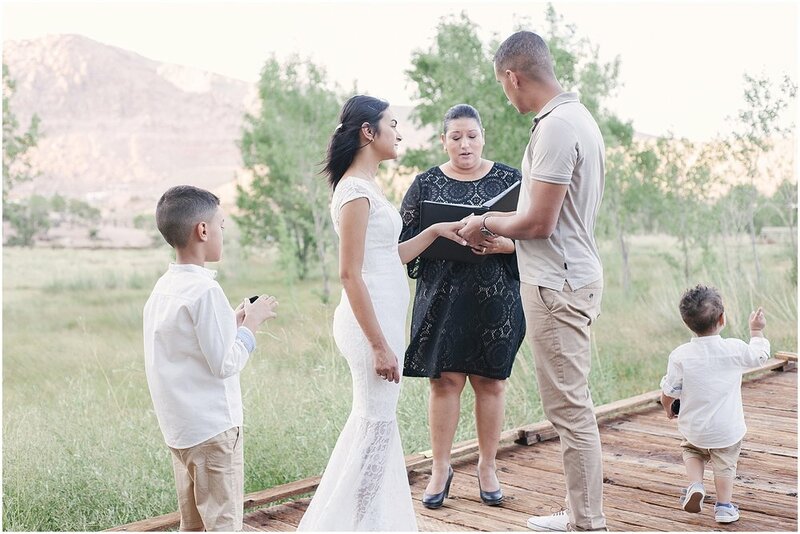 Ten years + 2 little ones later, Ann-Marie + Milo came back to where it all began to renew their vows to each other and their family! Anne-Marie and Milo own the successful International Wedding Institute in Paris, France, which specializes in vocational training in wedding planning, wedding design, wedding officiating, as well as workshops and optional master classes. 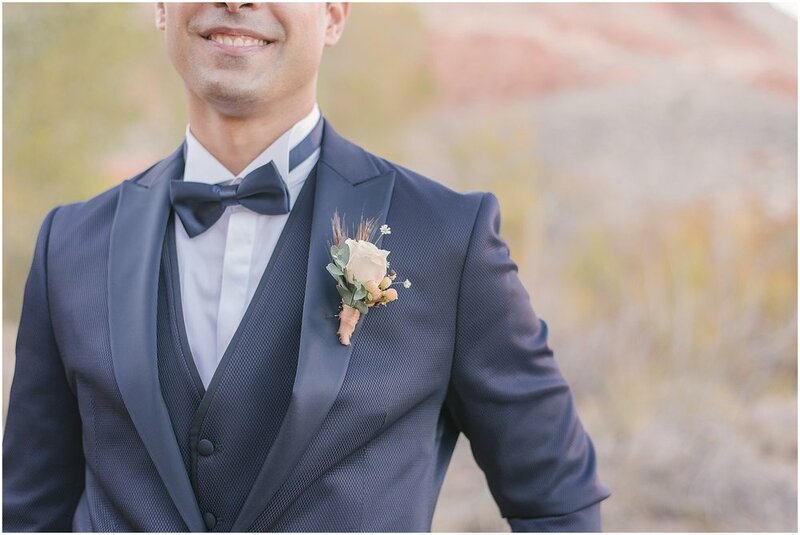 We had met years ago when they were here in Vegas, learning about the destination wedding industry here and had kept in touch throughout the years. I was so excited when she contacted us about their trip and plans for their vow renewal. 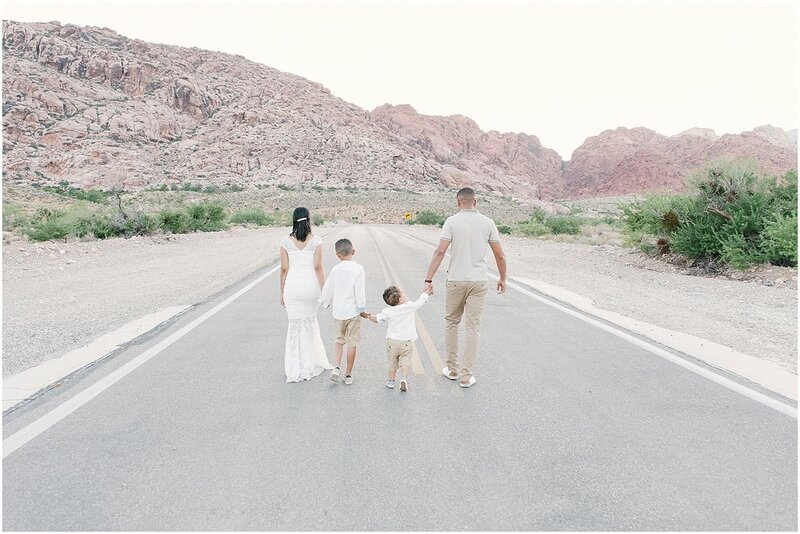 Ann-Marie had an ambitious plan to capture her family in her favorite Las Vegas locations and ending their day in the same location they got married at 10 years ago. We discussed her ideas, the logistics, came up with a plan that would work well for everyone, and then we totally rocked it! Our first stop was the Neon Museum! This is one of our favorite locations for an iconic Vegas vibe! It took some time for their baby boy to feel comfortable with us, but by our second stop, he was all smiles! Our second stop was the Bellagio Hotel and Casino, for another iconic Las Vegas destination! At this point, we took a break! It was time for everyone to freshen up and change to their vow renewal ceremony outfits and it also gave the kiddos some down time to relax! 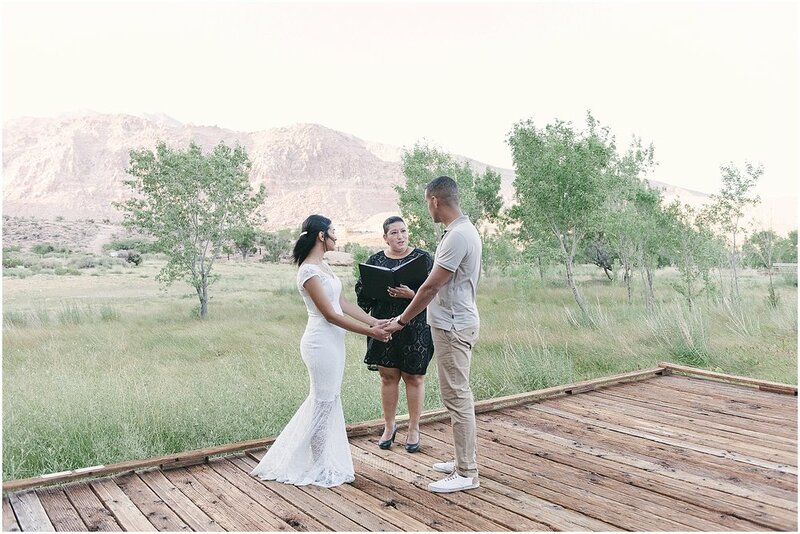 We met up with Norma from Peachy Keen Unions for their desert vow renewal and it was super sweet and intimate. Having their kiddos be present to witness their recommitment to each other was so special and truly a gift. We’re so happy we got to be there to document the moment and capture some fun memories for them to cherish for many, many more years to come! Busra and Tuna traveled all the way from Turkey for an epic trip! 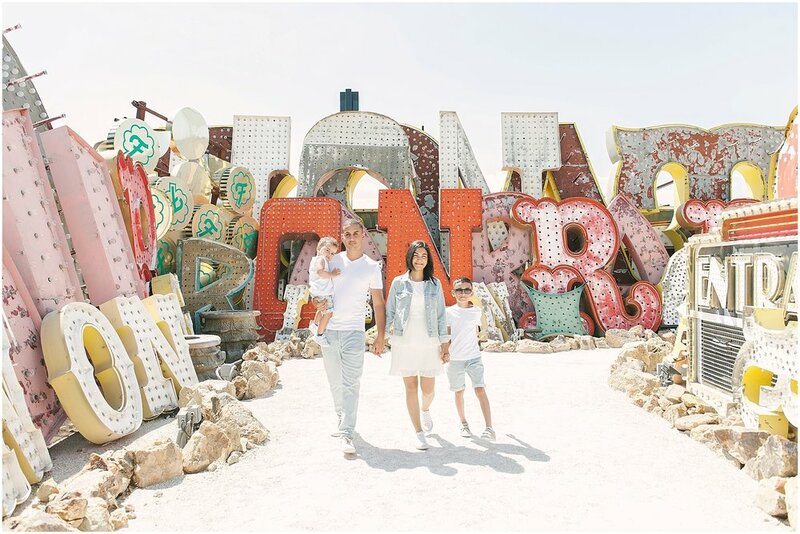 Three of their friends made the trip with them and they spent some time visiting and sightseeing in California before stopping in Vegas to tie the knot! Talk about a trip of a lifetime, huh! 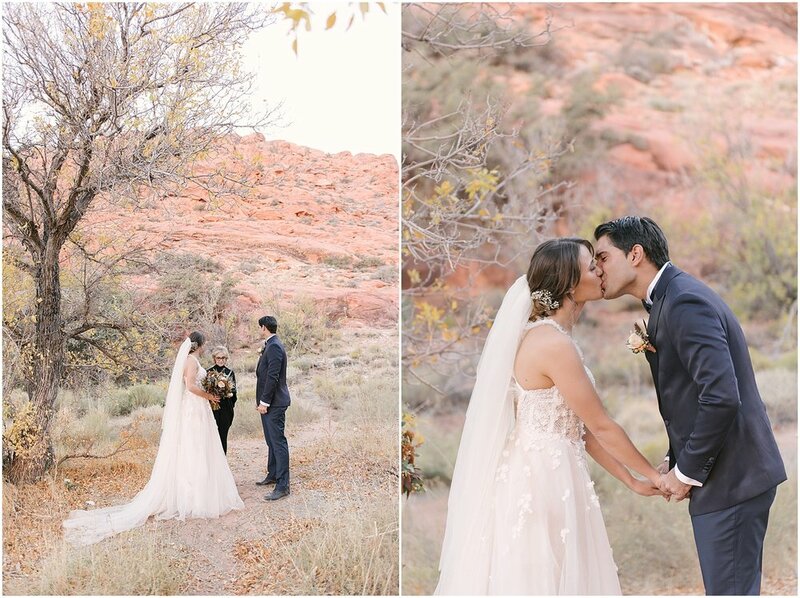 Coming from so far away, they left the planning to Las Vegas Desert Elopements and everything turned out beautifully! 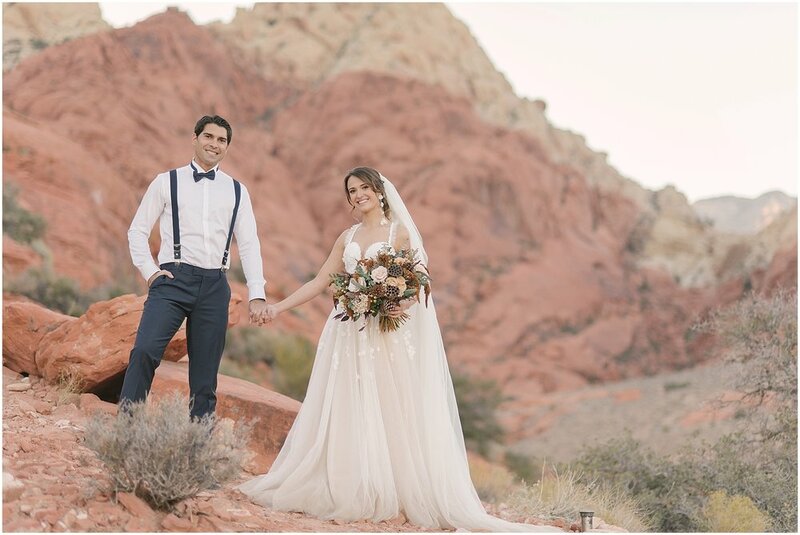 Judy of Wedding Vows Las Vegas performed a beautiful ceremony and even incorporated some traditional Turkish elements for the couple.